Most people do it sometimes. They find themselves in a situation where they’re feeling an emotion, but showing something else. Sometimes they do this in a conscious way, because they choose to do so, but most of the times this happens unconsciously – the person doesn’t even get to realize the authentic feeling, because its place is instantly taken by another. You surely have met people who tend to have emotional responses that seem unfit for the situation: someone who cries when you’d expect them to be angry or gets angry when sadness would seem appropriate, someone who always looks and feels alarmed – regardless of what’s going on, someone who starts laughing when talking about a painful or scary experience. And this happens so often that it somehow becomes the new normal. Before getting into the T.A. talk, however, let’s make ourselves comfortable by setting up the scene. Faced with a threat, people feel FEAR, and they react by freezing or running. When confronted with a barrier that stops them from reaching their goal, they feel ANGER, which energizes them in attacking and destroying the barrier. Positive events (or thoughts / memories / anticipation of success / etc.) make people feel HAPPINESS, which offers a physical sensation of well-being, calm, satisfaction. When people suffer a loss, they feel SADNESS, which leads to holding on or letting go. There is no such thing as a negative feeling, since we can clearly see how all 4 emotions have their purpose in our lives. 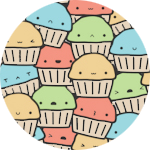 They are our way of responding adequately to the current situation and we use them in problem-solving. If we were to start laughing and jumping around full of joy when an angry bear is approaching us, that wouldn’t be either helpful or appropriate. It all seems pretty easy, right? This is where the “racket feelings” come in, though. 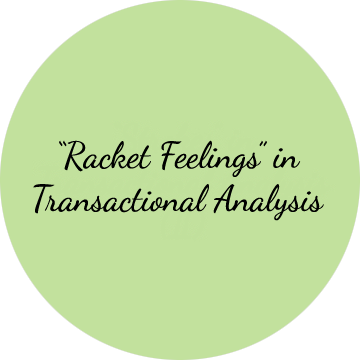 According to Transactional Analysis theories, feelings fall into 2 categories: authentic feelings and “racket feelings”. We just covered the first one by showing how authentic feelings are useful, adaptive responses to the situation. So let’s see what these “racket feelings” are all about. We often hear parents telling children off for crying, getting angry or being too much of a “scaredy-cat”. We sometimes hear children getting scolded for being “too happy and hyper”. While it’s true that all children learn what emotional responses are appropriate for what situations from their parents, prohibiting a certain feeling frequently will teach the child that the feeling is not allowed. What’s more, most parents who scold the child for expressing a feeling X will usually praise them for exhibiting a feeling Y.
Max is a rather shy and fearful child because other kids in school bully him every day. He enjoys playing inside and drawing trees. His parents are concerned for him, so they often fight about their son staying inside all day long and not having friends. They constantly tell him that he should go out more and socialize. They look worried and upset. Max doesn’t like seeing his parents like that, and he hates hearing them fight, so he decides to go out and make some friends and he immediately notices how happy his parents are now and how many positive strokes he receives (what were strokes again?). So he forces himself to get over his anxieties, makes some new friends and soon becomes one of the bullies, a boy who isn’t scared of anything and who will often involve himself in risky situations. Growing up, all his acquaintances immediately label him as being “the brave one”, a man who isn’t scared of anything. But is he really never scared of anything? That can’t be. A “racket feeling”, as we’ve seen in the example, is a feeling that the child learns as being acceptable and/or desired, which he then uses to replace the authentic feeling, in order to gain the acceptance of his parents (or any other parental figure). And in this way the child grown up learning that it’s never OK to show anger / fear / sadness / happiness. So he doesn’t. He shows what he was told he should, and in time he gets so used to it that he doesn’t even feel the authentic emotion anymore. He grows up “knowing” unconsciously that it’s not OK to show one or more emotions, and that people will reject him if he does. Since the lesson is such an early one and its roots are so deeply implanted into his whole being, he won’t easily think of checking the reality of things. Quite the opposite, actually. People need the world to make sense, and it all starts in childhood. So growing up we search for things and situations that will keep our internal world together, and we avoid things that could take away the sense and meaning we created. This happens in regard to our feelings, as well. We don’t search for proof that our life beliefs are wrong, we seek for situations that will prove everything we know is right – which then reinforces our beliefs and things go on like this forever. Stopping this cycle and changing something inside it is a darn tough job. The problem with keeping these feelings distorted as they are is that they don’t provide useful problem-solving mechanisms, which means that in time we become more and more overwhelmed by the authentic repressed emotions. We’re not aware of them, so we simply feel the racket feeling more and more and, when this keeps on failing in helping us in any way, we can’t function properly anymore. The results vary from person to person, but they could be anything from depression to manic episodes. OK, so how do we fix this? First of all, forget everything you know about beliefs like “boys don’t cry” and “girls are weak”. While there is no single answer, “fixing this” takes time and patience to re-learn what the adequate feelings are for certain situations, testing reality, getting more and more in contact with the authentic feelings and expressing them. The most important thing to know is that it is OK and normal to feel all the emotions you are feeling. There is nothing wrong with you for feeling angry, scared, sad or even happy. And people around you won’t disappear or leave just because you’re feeling and showing your emotions in an authentic and OK way. What do you think about these racket feelings? Did you notice such things in your life or the lives of those around you? I’m glad it makes sense. You’re very welcome! And I’m sorry about your grandfather. Personally, TA makes a lot of sense to me intuitively and I think this article beautifully explains what racket feelings are. The only thing in this article that I struggle agreeing with is when it talks about a “manic episode”. It is implied here that a “manic episode” is somehow related to the psychological structure or personality of an individual. If that were the case then individuals who suffer from “manic episodes” could theoretically be “fixed” through psychotherapy, while research has time and again proven this to be untrue. Yes, psychotherapy does help such individuals but psychotherapy “alone” has not proven to be sufficiently effective to enable this group of sufferers lead fulfilling and productive lives over the long term. Nothing is black and white! JMIHO! Oh, I agree with you 100% and I did not intend the article to send such a strong black-and-white message, just as you put it. I am aware of studies and work proving just what you’re saying and I am a strong believer in personalized “treatment plans”. I also believe that no extreme can do much good (i.e. insisting that therapy alone or medication alone can “cure” everything.). When I first encountered TA I thought the same thing: “Well, this explains a lot of things without going to the extreme and it doesn’t feel patronizing.” so I am glad to find that other people share this view. I am also glad you enjoyed the article! Thank you for taking the time to write this comment and for sharing your opinion, which I completely agree with. Indeed it is. Those racket feelings have served a very important purpose for a very long time, probably, so it’s hard to “un-learn” them. 🙂 Thank you for stopping by!